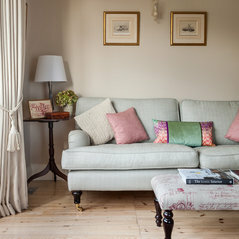 Hilary White Interiors is an interior design studio based in Claygate, Esher, Surrey. We create elegant family homes that are stylish, welcoming and perfect for real living. We specialise in period homes, working sympathetically to the character of the property and ensuring that the finished project reflects the true personality of our clients. Our professional and personalised service has gained a reputation for excellence, winning a Best of Houzz Design Award in 2017 and 2018. Hilary takes care of all the details and makes the experience enjoyable and rewarding for her clients. 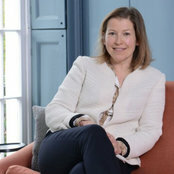 A qualified interior designer, who certified with honours at leading London Design School KLC following an earlier career in the City, Hilary is also an Associate Member of the British Institute of Interior Design. The BIID promotes high standards throughout the industry and ensures that its members undertake continual professional development. Commented: Name of paint on walls, please?Hi, it's &quot;Joa's White&quot; by Farrow and Ball, the room is north facing.